The Sea of Cortez is one of the world’s most biologically rich subtropical seas, home to a diverse array of marine mammals, sea birds, fish, and invertebrates. 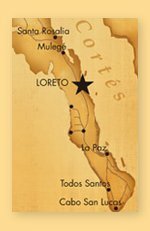 Loreto Marine Park offers a number of eco-adventures for discovering and exploring the area’s treasures. There is an emerging category of expeditions that go beyond eco-adventure. Called ‘conservation tourism,’ the idea is to connect great experiences with ocean wildlife, to create personal impressions so significant that you will join the ranks of passionate protectors of wildlife. While visiting their second home in Loreto Bay from their home in the Sierras of California, Guy and Fauna Tomlinson and their college-age children signed up for an overnight sea turtle monitoring expedition to Isla Coronado. 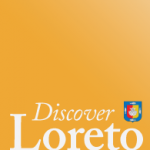 They wanted to learn about the efforts underway to protect the local sea turtle population in the Loreto Marine Park, and were looking for a hands-on family experience. Baja by Kayak, a Loreto outfitter, runs trips for the public to learn and participate in turtle-monitoring efforts. They work with Grupo Tortuguera de las Californias, a network of fishermen, community members, students, and conservationists who run dozens of research and conservation projects in more than 25 communities along the peninsula and Mexican mainland, protecting the region’s five species of sea turtles. They are responsible for monitoring and gathering data and teaching the monitoring techniques. The Tomlinsons set out on pangas (small open boats) packed with camping gear and turtle monitoring equipment, bound for Isla Coronado, about three miles off the coast of Loreto. After unloading their camping and overnight gear, they headed out to sea to set the turtle nets. These nets are specially designed to have minimal impact on the caught turtles. Proceeds from the turtle tours help to fund the purchase of nets. The guides awakened them, two at a time, to check the nets every two hours throughout the night. Each net had a solar blinking light to help locate it in the dark. From the panga, they could see the caught turtles at the surface. The guides worked quickly to lift them, safely freeing them from the nets to bring them aboard the boat. In total they brought in seventeen new captures ranging from 40 to 175 lbs. They laid them upside down so the turtles remained calm. Of the 17 sea turtles captured only two were previously tagged. With tape measures they gauged the width and length of each new turtle. Then they hoisted the turtles to be weighed with a hand scale. Fauna said she became somewhat of an expert in removing barnacles from their shells with pliers, to help keep them clean and parasite free. She then documented the number and location of barnacles on the fact sheet. Then came the fun of naming the turtles. A few of the newly identified turtles were called Phila, Nimi, Emma, and Bob. They tagged each turtle with a silver numbered livestock tag, clipping two on each back flipper. They carried the turtles back to the shoreline to be released to the sea, and watched them swim off into the shimmering water. The overnight trip also featured a guided hiking tour of Isla Coronado, where they learned about the flora and fauna of the island; morning snorkeling in the cove abundant with sea life; a delicious dinner of fresh fish prepared on an open fire; and sleeping under the starry sky on a very remote island. 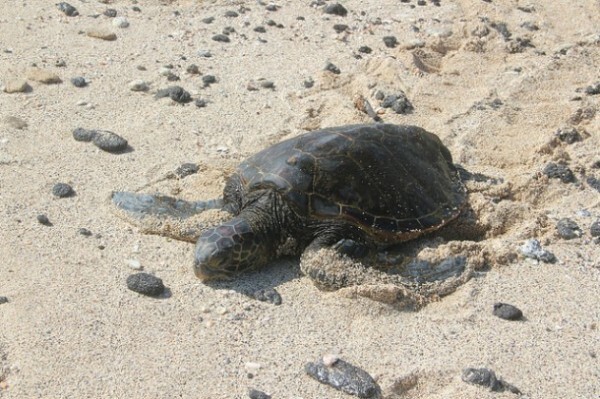 Baja by Kayak runs the turtle monitoring tours from September through June. Every paid tour supports guides in making a living by saving turtles rather than poaching turtles. The more we support this program the more sea turtles benefit. For more information about this eco-conservation adventure, contact www.bajabykayak.com.